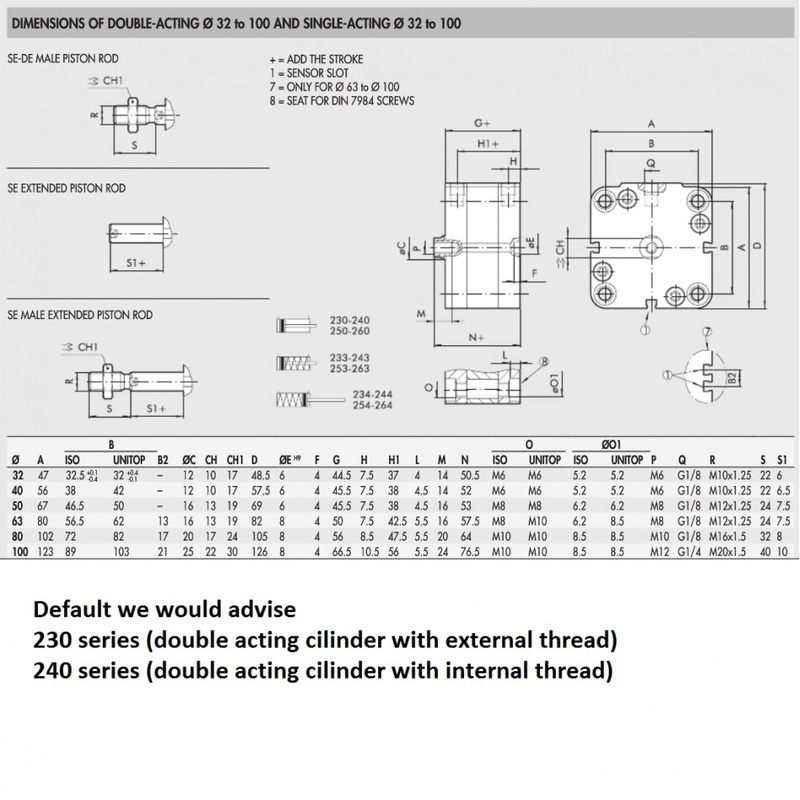 230-080-0050-CP Compact Cilinder 80mm 50mm Stroke | DamenCNC B.V. 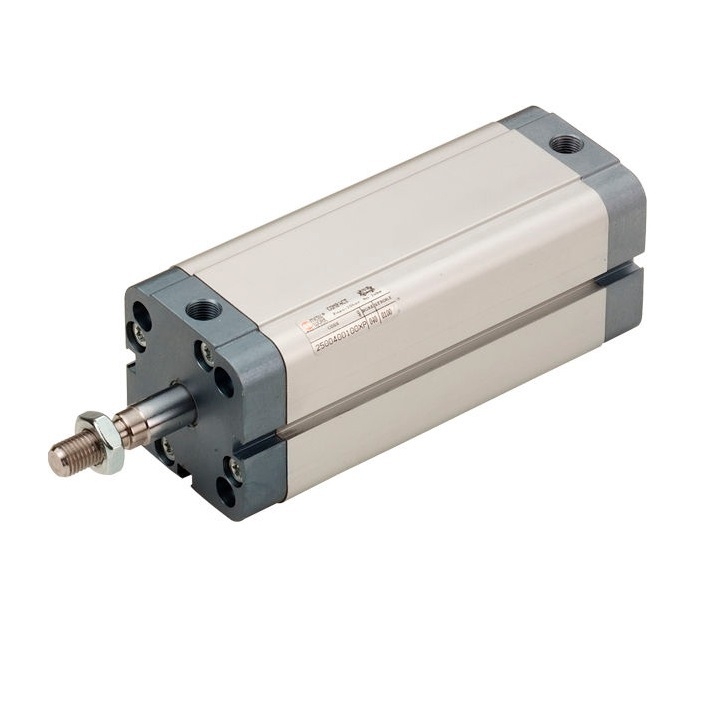 The compact cilinder, is a special Pneumatic Cilinder, which is very compact like the name suggests. When compared to the ISO 15552, it can be up to 100% shorter to build into the same place. Do keep in mind that due to the compact size its missing some features that are standard in the ISO 15552. It does not include cushioning/damping at the end of stroke. For this reason we always advise to use flow regulators in both directions. To prevent damage to cilinder. When you add the cilinder to cart, the website advies exactly which flow regulator is compatible.